One of the things that make Sliver Paddleboards look special is they are built with wide book matched panels. Wide boards create the illusion that the board is made from really large timbers and not thin bead cove strips that are normally used with this sort of construction. Book matching is the practice of matching two (or more) wood surfaces, so that two adjoining surfaces mirror each other, giving the impression of an opened book. The technique is used to beautify a variety of objects such as furniture, violins, guitars or the interior of high-luxury cars. The two adjoining surfaces are produced from the same piece of wood, so that they have (almost) exactly the same appearance, but mirrored. The final effect varies with the wood and can range from extremely subtle (so that the two surfaces almost appear to be a single piece of wood on vertical grain boards), to dramatic effects with wavy grain showcased on boards with a cathedral grain pattern. The professional way resaw lumber is with a large bandsaw and normally a power feeder to acheive consistent feed rate. It is challenging to accurately resaw thick lumber because the material being cut gets stuck in the kerf with no where to go. 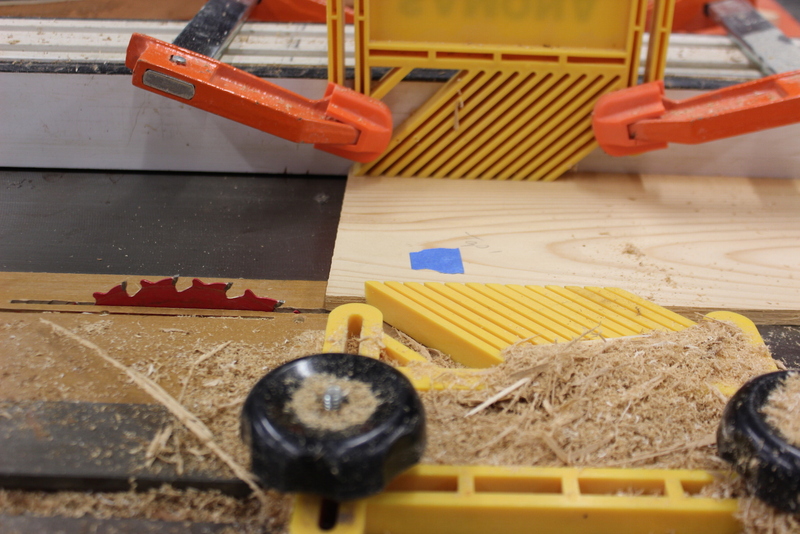 If the blade has too fine of teeth, the trapped sawdust forces the blade to wander. The trick is the blade has to have large gullets (spaces) between the teeth to clear all the sawdust out of the way. The blade I use is 1.5″ wide with only 1.2 teeth per inch but it requires a monster of a bandsaw to keep it spinning. 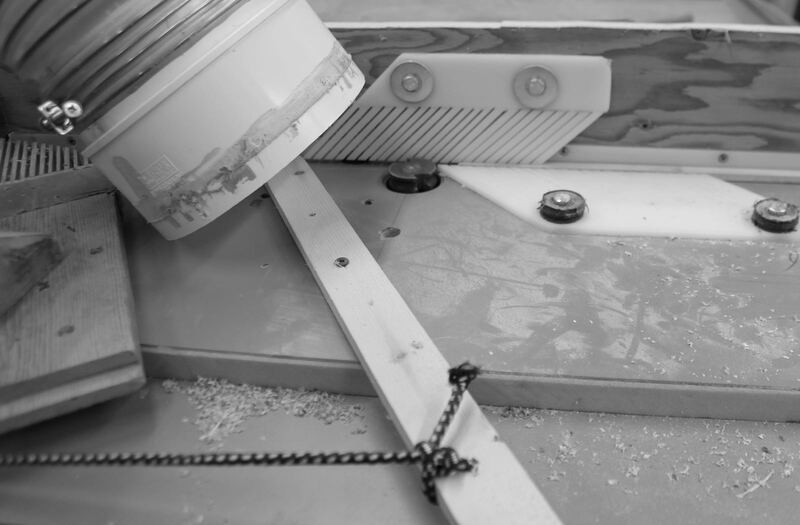 Not many people have a 36″ bandsaw so lets discuss other options for milling your lumber. It is feasible that you could ask a commercial shop to resaw the wood for you since this is a pretty easy task with the correct equipment. It is possible to resaw large boards with a table saw by cutting part way through the board and then finishing the cut on the second pass. I have even cut larger boards on my table saw by cutting as deep as you can from both sides and then using a Japanese saw to complete the cut. I built a special resawing fence to hold the long boards on edge and ensure they stay tight against the fence. The fence portion is made from 60 skateboard wheels allowing the tensioning device to firmly press the stock into the fence without adding a bunch of friction. On the right side of the blade the self-adjusting, tensioning device squeezes the wood just before the blade. You never want to add pressure to the side of a saw blade as it causes many problems. (For the wood and for your safety.) 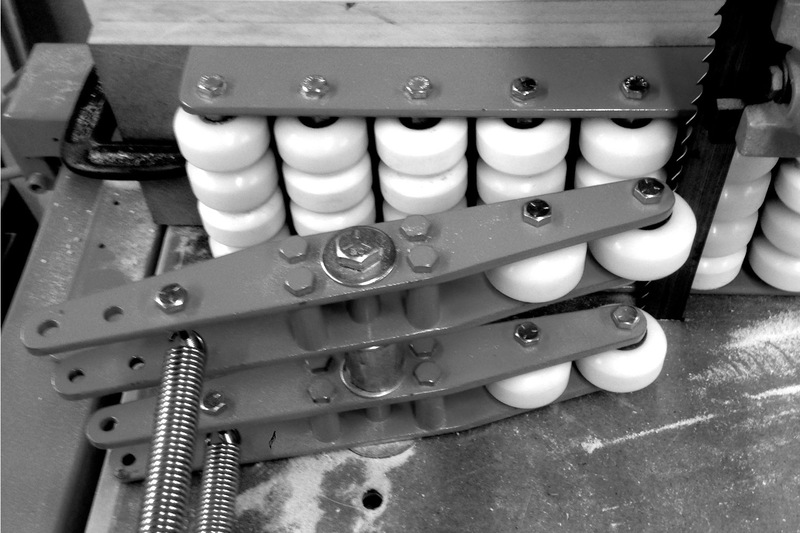 My tensioning device is made from recycled steel bar, skateboard wheels and a couple of trampoline springs but here is a wooden version that works just as well. The benefit of using a tensioning device is it allows you to make very accurate and repeatable cuts without having to constantly reposition a feather board. I add approximately 1/16th of an inch for finishing as the fresh planks come off the bandsaw nearly identical in thickness. If you are trying to do this step with one of the other methods I show, double this amount as a starting point. The results I get with my resawing system are harder to achieve with regular feather boards as the pressure changes as the board’s thickness varies but this is easily remedied by passing the board through a thickness Planer between passes. Due to the noise of woodworking machines I prefer emails but realize sometimes it’s nice to talk to a real person.